Ahead of Alpha Centauri’s run in the Prix Jacques le Marois at Deauville on Sunday, the superstar filly’s trainer and jockey, Jessica Harrington and Colm O’Donoghue, limbered up with a Sligo treble. The 207-1 hat-trick was completed in the feature race of the evening, the Irish Stallion Farms EBF Oaks Fillies Handicap, through Echo Park (3-1). Soon dictating from the front, O’Donoghue eventually guided home the three-year-old, shedding her maiden tag at the fifth time of asking, by five and a half lengths from Zoffanyia. “Being by Elusive Pimpernel that distance (an extended mile and a half) wasn’t a problem to her, and Mrs Harrington was expecting her to run a big race,” said O’Donoghue. 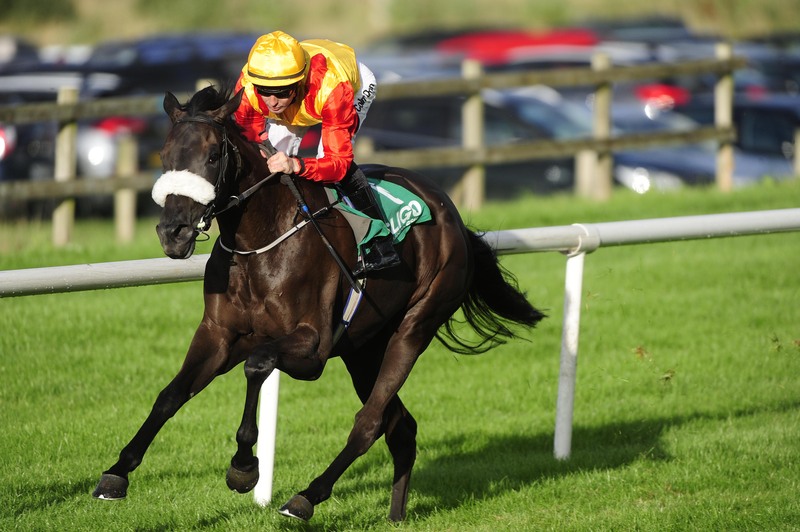 Earlier, in the Diageo Day 21st August At Sligo Races Handicap O’Donoghue again used forcing tactics, on Rickrack (11-2). Another five-and-a-half length verdict was secured here as runner-up South East could not lay a glove on the winner from a furlong out. In the opener, Harrington’s Dragon Girl (7-1) did not return to the Kildare trainer’s Commonstown-base after success in the claimer. Picked up out of this, after a six-and-a-half-length demolition of the opposition, new owner John Keogh will employ Shane Duffy to train the three-year-old now. If she builds on this level of performance the chestnut could be well bought at 8,000 euro. John McConnell had to settle for second place there with Match My Fire, but he was not long about gaining compensation in the following www.countysligoraces.com Apprentice Handicap. With the help of a first-time tongue-strap, McConnell’s Maricruz (8-1) benefited from a patient steer by young apprentice Shane Crosse. The grey led over a furlong out and comfortably scored by three and a half lengths from Ace Of Diamonds. Ace Of Diamond’s trainer, Dermot Weld, won the Ladies Day Tomorrow At Sligo Races Race with Mutaabeq (1-3 favourite). The Teofilo colt cemented the good impression he made when starting off with a Ballinrobe win last month, quickening well under Declan McDonogh to upstage Meagher’s Flag in what was an exciting conclusion to the three=runner affair.